Patients describe it as a light touch behind the ear as you lay comfortably on your side. This is all that is necessary in order to bring your spine into better balance, offering your body a new opportunity for healing. Do not expect the popping, twisting, and cracking that some people fear about chiropractic care. 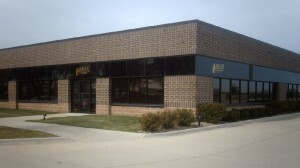 At Read Health Center, we offer a form of chiropractic, where each chiropractic adjustment is tailor made for every individual who qualifies for our care. 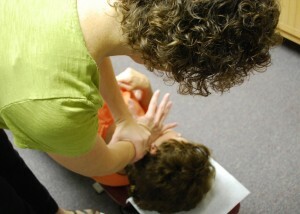 This precision is at the standard of the National Upper Cervical Chiropractic Association (NUCCA) technique. Because the precise adjustment is considered gentle, and made for each individual, the body can often “hold” the alignment for longer periods of time. Better “holding” means a greater opportunity for healing. Read more from our patient successes. • Consultation: A time for the N.U.C.C.A doctor to learn about you and your health concerns. • Exam: Can the N.U.C.C.A approach help you? If so, you learn how. • Pre-adjustment x-rays: Required to know exactly how you’re misaligned and how to adjust you. • Report of findings: Your N.U.C.C.A doctor will explain what the x-rays showed and outline a plan to get you well. • The first adjustment: N.U.C.C.A correction. • Post adjustment exam: All initial posture checks will be repeated and changes noted. • Post adjustment x-rays: A measurable misalignment means a measurable correction. You’ll relax in a comfortable resting room as the doctor analyzes the post x-rays. If the doctor is happy with changes you’ll be sent home to rest. If not, you’ll be adjusted again to achieve a more complete correction. 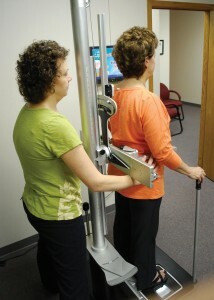 • Your body alignment will be monitored through check-ups. Any sign that you’re out of alignment means the stress on your brainstem has returned and you need another correction. • When you misalign, your spine will return to the weak position – one it’s been in for years. The specific adjusting vector, calculated for you initially, will stay true for an extended time. Exceptions are cases of whiplash or severe trauma. • If you’re found to be in perfect body balance, no adjustment will be given. We celebrate this as a sign of stability and health. • Initially you will be seen more often because your body is getting used to being in alignment and may not yet be stable. • Gradually you’ll be seen less frequently, based on your recovery and the stability of your alignment.